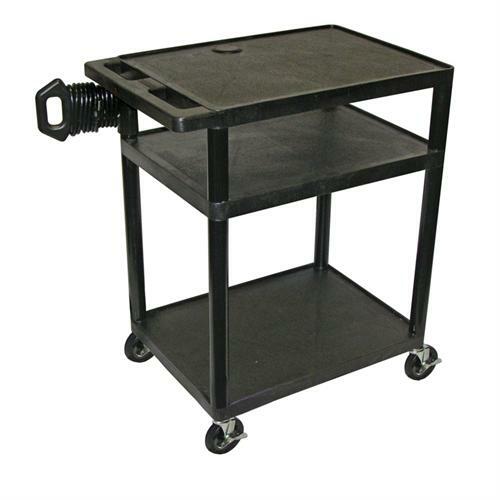 More on the Luxor 34 inch Endura Table (Black) LE34-B below. An open-shelf design for easy component access and maximum airflow to heat-generating electronics. Top shelf reinforced with one aluminum bar. Molded plastic shelves and legs wont stain, scratch, dent or rust. Cable track cord management system keeps cords neatly secured. Cabling hole in top shelf with cord guide cover. 3 outlet, 15 surge suppressing electric assembly, UL and CSA listed.